To celebrate April Fools’ Day 2019, Google has added its own version of Snake to Google Maps. This means you can now play a special travel-related version of Snake in Google Maps. Cue millions of people wasting their time for the next week or so. To access Snake in the Google Maps apps, first, make sure you have the latest version installed. Then, open Google Maps, and click the squiggly snake icon in the top left-hand corner. This will open the Settings menu, where you’ll find a new “Play Snake” option. If you click “Play Snake” a popup will reveal this is an “April Fools!” and invite you to “navigate different cities around the world in this rendition of the classic arcade game Snake.” Click “Play” and you’ll be whisked to Google Maps’ version of Snake. 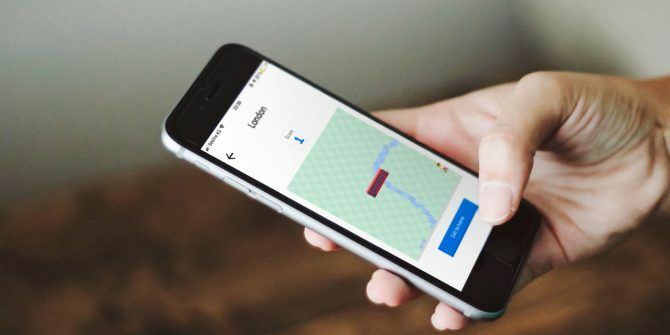 Even if you haven’t got Google Maps installed on your phone, you can play Snake on this standalone site. According to Google, Snake will be available on the app until the end of the week, but we assume the standalone site will remain accessible beyond that.
? Tap the Snake icon and go! To play Snake on Google Maps, click “Start” and then choose a destination. You’ll be able to choose from Cairo, São Paulo, London, Sydney, San Francisco, Tokyo, and the World as a whole. Your snake will be the mode of transport associated with that destination. All you need to do is use your finger (or the arrow keys on the website) to direct your Snake. The aim is to pick up as many passengers as possible without crashing. You’ll also get bonus points for reaching certain landmarks or items within each map. You can play Snake in Google Maps as many times as you want. And it is, of course, completely free. Once you have racked up a score you’re happy with, you can boast about it to your friends. Just click the “Share” button and select your bragging platform of choice. Google Maps’ version of Snake is a simple, uncomplicated affair that is unlikely to win any gaming awards. However, like these addictive mobile games you can play for five minutes at a time 10 Addictive Mobile Games You Can Play, 5 Minutes at a Time 10 Addictive Mobile Games You Can Play, 5 Minutes at a Time Here are our recommendations for the most addictive mobile games to play when you have five minutes to spare. Read More , it will help you waste some time between doing more productive things. Explore more about: Google, Google Maps, Mobile Gaming.